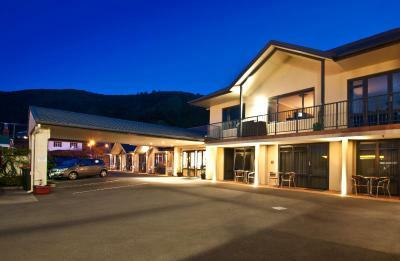 Situated on a hillside in central Picton, Broadway Motel is a 7-minute walk from the InterIslander Ferry Terminal. Picton Railway Station, shops, cafés and bars are all less than 500 metres away. Just 5 minutes' walk from the heart of Wanaka's town centre and access to the beachside of the beautiful Lake Wanaka, Alpine Motel offers self-contained accommodation with free off-street parking and 5GB of free WiFi per day.